Landlocked between Thailand and Vietnam, the long forgotten backwater of Laos is startlingly beautiful with mist-shrouded mountains, jagged limestone cliffs, brooding jungles, remote tribal villages and the mighty snaking Mekong River. Until 1988, Laos remained largely hidden from the world so tourism is still very much in its infancy, with centuries-old traditions still in tact, a slow pace of life and wonderfully welcoming people. The sleepy capital Vientiane has tree-lined boulevards crowded with frangipani and tamarind, ancient ruins, gleaming stupas and graceful colonial buildings. When you’ve had your fill of the glittering temples, you’ll discover numerous cafes and patisseries, a tasty legacy of French rule. 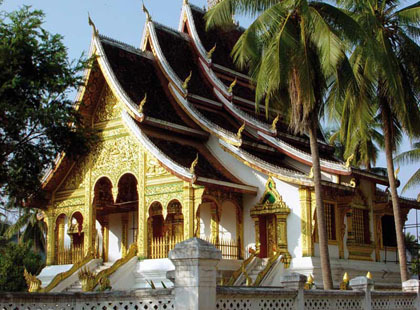 The ancient royal capital of Luang Prabang sits at the confluence of the Mekong and Nam Khan rivers amid beautiful scenery and is considered to be the religious heart of Laos. Now a UNESCO World Heritage Site, it is the most perfectly preserved traditional capital in Southeast Asia and one of its most alluring places. Wander the palm-lined riverbanks and tranquil streets, passing gilded wats, traditional wooden houses and maybe saffron-clad monks collecting alms; and you’ll have your own picture perfect snapshot of bygone Asia. Linking Luang Prabang with Vientiane and the cities of the south is the Mekong River, the artery of life in Laos winding through the country from north to south. 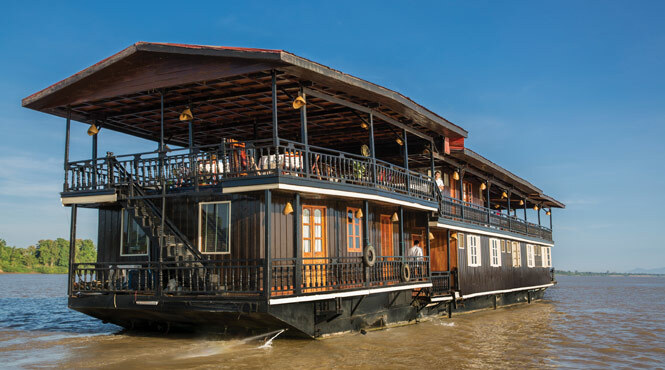 Consider taking a cruise along this mighty waterway and you’ll truly discover the many wonders of this stunningly scenic and culturally distinctive land. 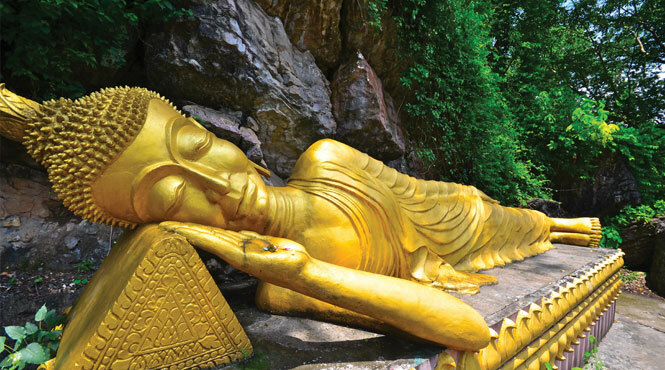 Our vastly experienced travel advisors are passionate about Laos. With first-hand knowledge of when and where to go they can create the perfect holiday experience for you, at the best possible price. 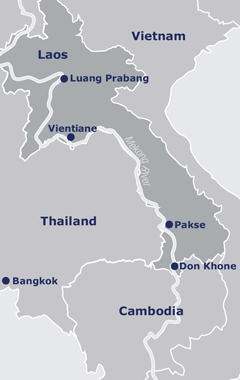 Flight duration: Luang Prabang is approximately 13.5 hours from the UK (via Bangkok). Recommended airlines: There are no non-stop flights from the UK to Laos. 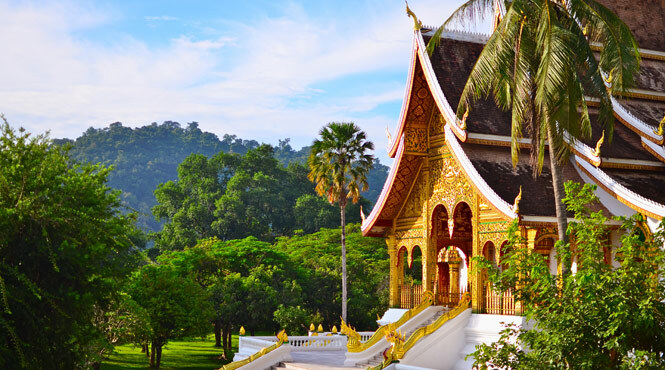 Indirect flights to Luang Prabang are available with:- EVA Air (via Bangkok); Thai Airways (via Bangkok) & Vietnam Airlines (via Hanoi or Ho Chi Minh City). Currency: Lao Kep, although US$ also accepted in some places. Language: The official language is Lao; however many tribal languages are also spoken. Best time to travel: Laos is a year-round destination, although there are two distinct weather seasons. The dry season is October to late April and the wet season May to September. However, within each season there are variations and November-January are the coolest months while February-May is drier and very hot.